Trace your own ancestry on your paternal line. You may upgrade to the Advanced Package at a later date. 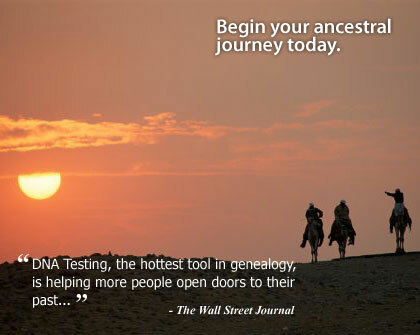 Trace your own ancestry on your paternal line. You may upgrade to the Premium Package at a later date. Trace your own ancestry on your maternal line. You may upgrade to the Advanced or Premium Package at a later date. Your journey begins by obtaining the Participation Kit. The Kit contains everything you need to collect a DNA sample quickly and painlessly using a mouth swab. Once you have completed the cheek swabbing process, seal the sample in the specimen container provided and send it to the lab using the self-addressed envelope provided in the kit. It’s that simple. Once the laboratory receives your sample, testing begins immediately. You can login online and check the status of your test at any time. Once your test is complete, a formal DNA report and DNA certificate will be sent to you. You will become part of exciting and dynamic projects involving people from around the globe. Compare your DNA against indigenous populations from around the world, search for long lost relatives on your paternal and maternal lines, trace your deep ancestral roots back to Africa, and even compare your DNA against famous people in history to see if you may be related! Register by phone? CALL: 1-877-714-6357 Let our team of specialists assist you with your account or help find the right test for you!